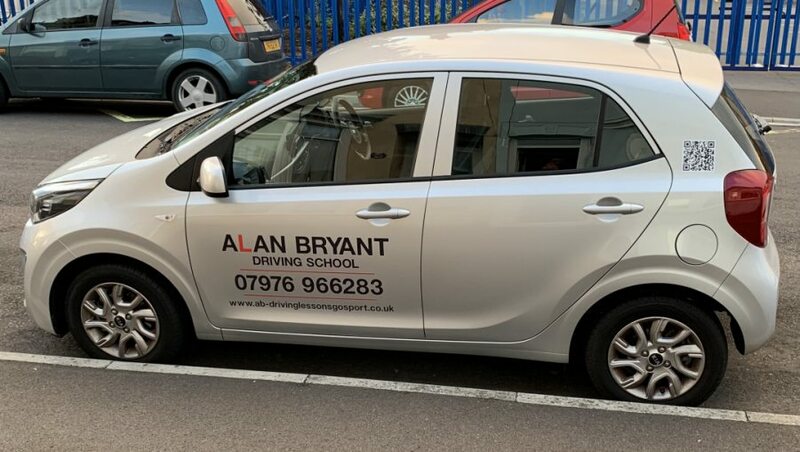 Alan Bryant Driving School is an independent driving school based in Gosport offering driving lessons in and around the Gosport area. If you want to learn to drive, Alan Bryant as your driving instructor will tailor a course of lessons dedicated to enable you to pass your driving test and become a safe and confident driver. 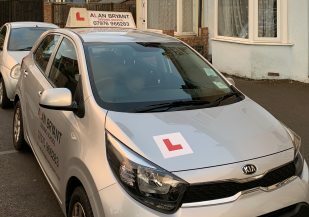 Alan has been teaching people to drive in Gosport since he became fully qualified in 2002 and worked for 2 of the largest driving schools in the country before establishing his own driving school based in Gosport. He regularly undertakes continued professional development [CPD] courses to improve his teaching and in October 2014 he was awarded the prestigious Diploma in Driver Education [DipDE] after successfully passing exams in Driver Knowledge, Vehicle Knowledge, Business Knowledge, Driving Instructor Knowledge and Coaching for driver education. On his latest DVSA standards check, Alan was awarded a grade A.
Alan Bryant is highly regarded and has been helping hundreds of people pass their driving tests and improve their driving skills for over 10 years. In 2006 he trained to be an examiner and whilst with a previous employer held the position of senior instructor. During this time he helped train people to become ADIs. Alan becamed fleet registered in 2008 and also took and passed the diamond advanced driving test. As well as learner driver courses, Alan also offers intensive and semi-intensive courses, refresher lessons, motorway lessons, returning to driving courses, taxi training courses and fleet training courses. Alan is also registered as a pass plus instructor with the DVSA. Alan also continues to improve his driving skills and in August 2015 he passed the RoSPA Advanced Driving Test at Gold Standard. This is the highest civilian driving standard available. Why not call Alan on 02392 581910 or 07976 966283 to discuss your requirements? 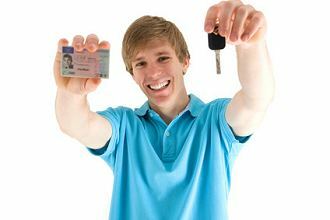 Whatever your ability, You can rest assured that you will receive the best tuition available from a highly qualified and patient driving instructor. Alan covers Gosport, Lee-on-the-Solent & Stubbington but please do give him a ring on 02392 581910 or 07976 966283 as he may also cover your area.